Braeden started racing at age eight when he was turned loose on a homemade track in a Wal-Mart Go-Kart at the family farm in Spokane, WA. Within five months he had gone through a set of tires and an engine. He was hooked. In search of a mechanic for the blown engine, the team met Jim Dodson. It was at Jim’s race shop, RaceTech, where Braeden was introduced to who would eventually become his mentor, race kart builder and head mechanic. Braeden sat in one of the karts at Jim’s shop and he left owning his first racing machine. By luck, the karting season was only a few weeks away from opening at Sunset Speedway in Airway Heights, WA and he was on his way. Braeden’s early success in kart racing quickly showed everyone that he was a natural. The very first night of racing he qualified fourth, finished second in the trophy dash, second in the second heat and WON the main event for which he was black flagged after the race in the pits. Officials said there was just no way a first timer could beat all the seasoned racers (that did not hold up and he got his trophy regardless). That night Braeden got his nick name Killer “B”. He proceeded to win six main events that year as well as the Championship and Rookie of the Year. Over the next four years, Braeden won consecutive championships until his last full year of karting when, although he was leading in the points, he was involved in an accident that resulted in a broken arm. 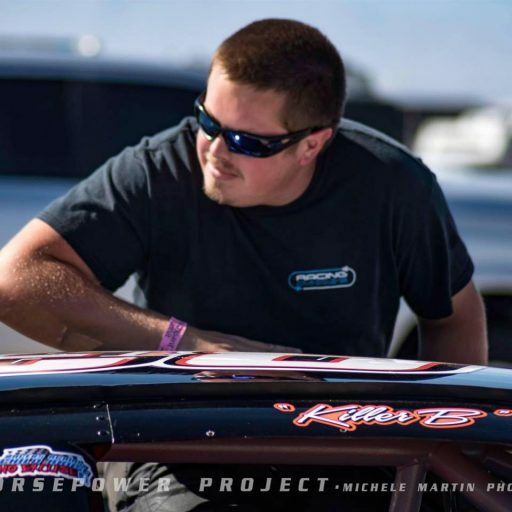 The injury ended his quest for a fifth championship and the team decided to spend the next year simply having fun with kart racing and moving up to the next level-Late Model stock cars. The team hadn’t decided what Late Model Braeden was going to drive until the answer presented itself. A lifelong friend and past INSSA champion, Mike Behar, called and offered his title winning car. Braeden and his team were once again on their way. Behar helped build and set-up the car and continued to assist through the first few months of racing that year as the team embark on a new series of racing. 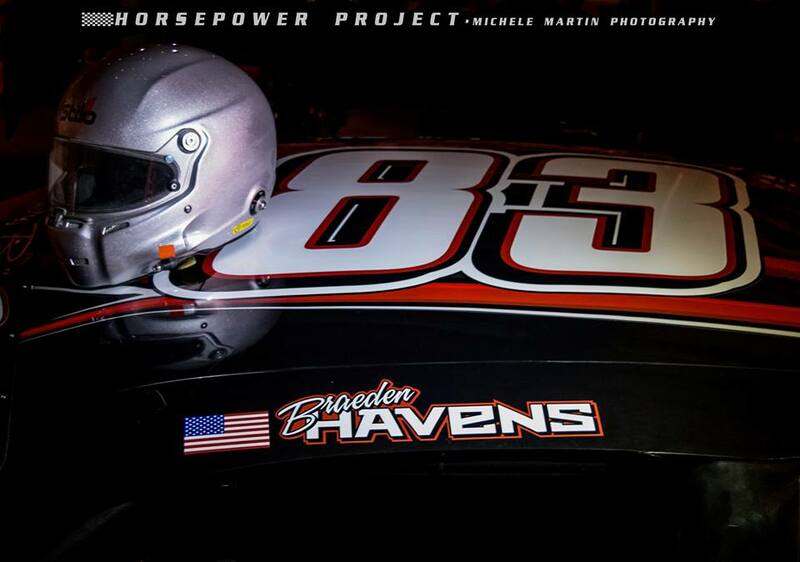 Since he set foot at Spokane County Raceway in his Late Model stock car Braeden has been successful every step of the way. Winning Rookie of the Year honors in ICAR, the 2011 INSSA championship, a top-3 finish in the 2012 Idaho 200, fast time at Montana Raceway Park along with making the prestigous Montana 200 (2012)- the Killer “B” has built a reputation as a clean racer with a passion for winning. In 2012 Braeden took his talents to the NASCAR K&N Pro Series where he finished among the top-3 drivers in the Rookie of the Year chase, had an overall top-20 points finish in only seven starts and had finishes of top-15 or higher in every event.